I really look forward to Autumn makeup collections the best, the fall shades are far more up my street. 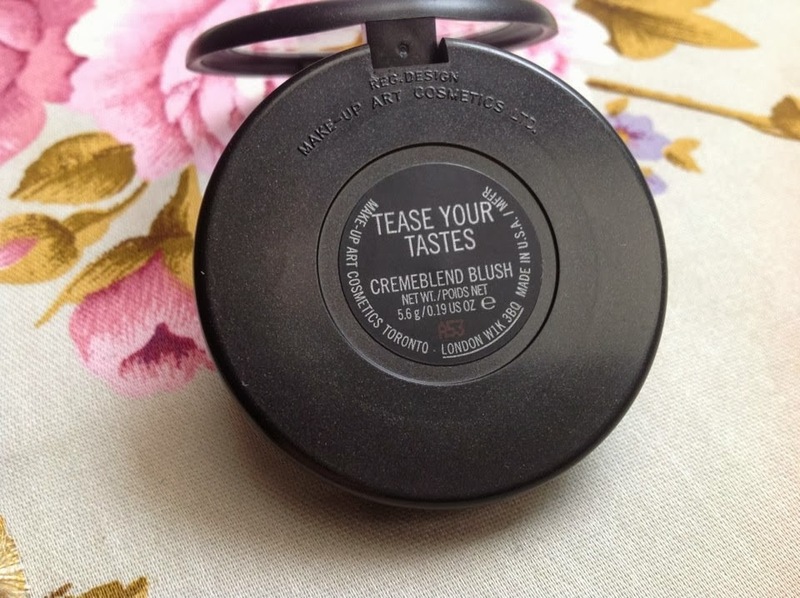 I have been really into cream blushes lately and I recently added yet another brilliant one to my collection - MAC Cremeblend Blush - Tease your Tastes - with a name like that, could you resist? This blush forms part of the MAC Indulge Collection for Fall 2013, and is 1 of 2 Limited Edition blushers in this collection. The other being - 'Glamour Feast'. 'Tease your Tastes' is a soft neutral pink which isn't in the slightest overpowering. It is nicely pigmented - without having to worry about any residue excess on application. This sweet blush is extremely subtle giving you a sensual glow on brisk Autumn days, however, it can be gradually built up for a more dramatic evening look, if so desired. If it is a more dramatic look you are going for I suggest buying 'Glamour Feast' which is a richer deeper shade. The Cremeblend blushes are packaged the same as their powder brothers and sisters but are slightly smaller. The texture of these cremeblends is so smooth and not sticky at all. I can honestly say that I can get a good 5 or 6 hours out of this product before a touch up is needed, maybe longer depending on external factors i.e. weather. I can see me buying a couple more before the year is out. Have you bought anything from the Indulge Collection yet? It is stunning! This is super pretty! I do love a good natural cheek in autumn! Ohhh love the look of this. Definitely need to pop into Mac to have a look and the new collection! I've been thinking about looking into mac cream blushers for a while now, so thanks for this post! This blush is a gorgeous pink, and I like the name! I just started my own website/blog. It would mean so much if you checked it out and let me know what you think (I just started it today). This looks gorgeous on you! Really suits your skin tone. I love their cream blushers, last so well on my skin too. This is such a stunning color!! 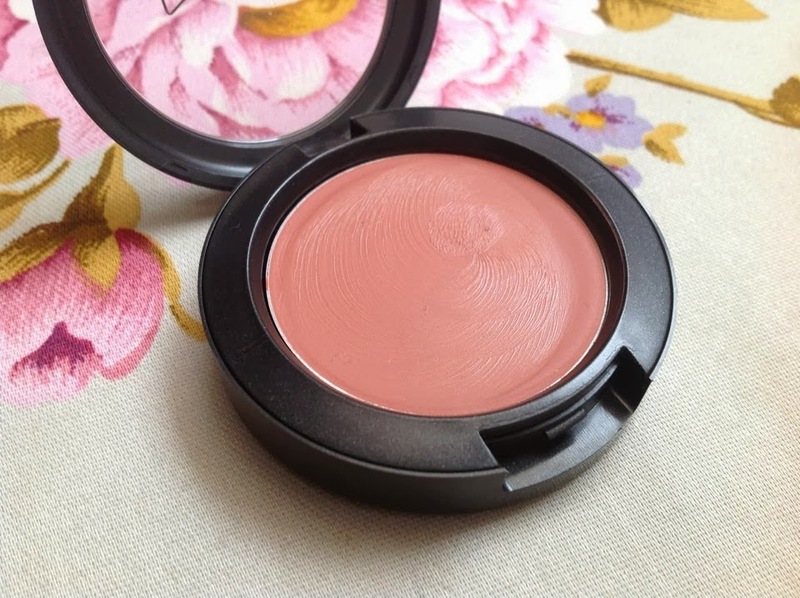 I've never tried any of the cream blushes from MAC but this shade is so pretty! 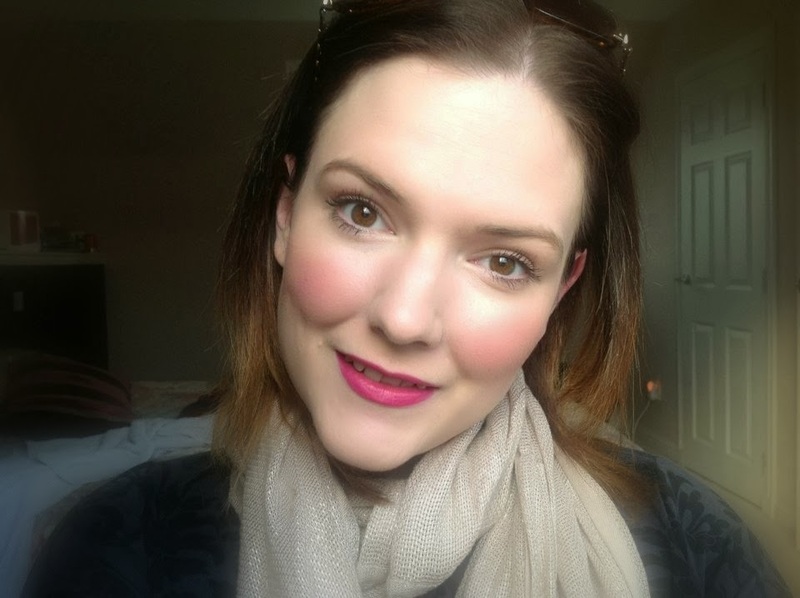 This is an old post but do you by any chance remember what lipstick you were wearing? Thanks!